When launching a new site or revamping an existing one, social media optimization remains the crux, in order to attract an interested demographic and to grow brand awareness and visibility. With these five tips, you can understand and avoid the most common mistakes in this sphere. Specifying Domains: This simply means that you should have the favourable option of either http://www.xyz.com or http://xyz.com. Redi­recting the preferable one solves this quickly. Advantages of Sitemap: Using an XML sitemap is hugely beneficial. The tools for this are available online in abundance. Search engine optimization is achieved by making your pages and website more discoverable as search engines pick them up. It also assigns degrees of importance to different content. Title Tag Format: While title tags are elements to the page header, they could also be visible at the top, depending on the browser. It is also the text, which can be clicked as the results appear in an organic search. Not only are they a ranking criterion, but they also influence click-through rates. Lac­king or Dupli­cate Desc­rip­tion Tags: Desc­rip­tion tags are visible in search results. They appear below clickable text and are created by search engines, which assign importance, when the tags are not compiled. It is far better to decide for yourself on the information that will be visible to your audience rather than automated decisions, in this case at least. The possibly worst and most common mistake in search engine optimization functioning is the repeated usage of a description tag across multiple pages. This makes the process redundant and it is better to have blank descriptions for other pages. These tags should complement title tag keywords. Gaining an insight into these unpopular mistakes that most websites and businesses make empowers you to succeed, without the impediment of wary operations. 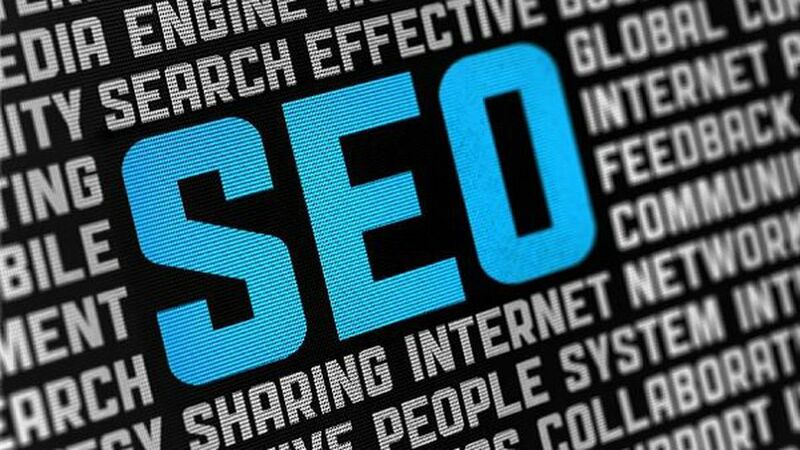 Follow these tips and make good on your promise to operate a website with full search engine optimization. Social Media is surely is one of the most lucrative and rewarding platforms for promoting any website. SMO or Social Media Optimization involves the use of social networking as well as social bookmarking and news sites to make a website more prominent on the web. Below are some pointers which can help you to optimize your SMO efforts. 1. Make your website SMO friendly: The first of the steps towards SMO should be to integrate social media handles/buttons in your website. Facebook “Like Box”, Twitter stream and bookmarking buttons help you to keep your website alive across various social media channels. 2. Promote Shareable Content: Generating shareable content is one of the key requisites of SMO. Shareable content can be anything that is intuitive, essentially relevant to your target audience and has an element of substance or value in it. 3. Update: You need to be aggressive in your approach to make your SMO efforts effective. You must build a rapport with your audience which can only be done by consistently updating your social media handles at regular intervals. 4. Initiate Conversation: Give an ear to what people are talking about. The key thing to understand about social media is that it is for people and people talk. Take your involvement to another level by initiating and participating in conversations across social networking sites. 5. Analyse: You can better direct your SMO efforts if you keep a close watch on the various statistics and use analytics. SMO warrants a targeted and logical approach which can only be done by taking various all information, facts and figures into account. SMO can help you to catapult your website into widespread recognition. All you need to do is follow a genuine approach to connect with your target audience. Social media is unanimously hailed as one of the most powerful tools for online marketing in the contemporary landscape. The reason being that the average internet user is much more active and involved than ever before. SMO or Social Media Optimization is not just another gambit for Social Media Marketing but rather a prerequisite for the same. In defining terms, SMO is remodeling content and structure of a website to enhance the website’s presence across various social media platforms. The term SMO came in vogue as early as 2006 and its dimensions have undergone many shifts in the past few years. 1. Optimizing Content: Content is the backbone of any SMO stratagem. While the focus has always been on the linking of content to various social platforms, generating “shareable” content is also critical. “Shareable” content is something that people may actually want to share on their own premise. Generating content that appeals to your key demographics is the main challenge here as SMO is not just about linking; it’s about liking, tweeting, digging, stumbling, pinning and much more. 2. Making Sharing Easy and Universal: It is not a secret now that tagging and bookmarking tabs are just not enough. • As multiple social platforms are on the rise, provisions must be made to hoist your content across each of them. Various social media buttons must be incorporated with your website to facilitate ready sharing of your content. • There are various channels which can help your content traverse the web and ultimately bring more visitors to your site. Video sharing sites and document sharing sites like Slideshare, Scribd can increase the accessibility of your content. 3. Engage: SMO only works if it triggers a genuine discourse among the audience. The key here is to encourage your audience to propagate your content. • Rewarding people for sharing your content is a viable option but it is essential to ensure that your content is propagated in the right channels. • Creating social media handles such as Facebook pages is almost a given. But the need is to be proactive on these handles and readily addressing each and every feedback. • Banking on the content based on trending topics is recommended. People’s interest and predilections keep shifting with time. Hence, it is prudent to keep your content in sync with the current and the new. 4. SEO Integration: SMO ultimately is aimed at getting more and more unique visitors to your website but sadly it cannot work in seclusion. Before getting on with SMO, it is essential to lay down the ground work with a SEO campaign. 5. Going Viral: For new websites, a viral campaign can get the ball rolling. Your overall SMO strategy must accommodate some viral campaigns as social media is especially conducive to viral phenomena. 6. Gaming: Social Media Gaming is the new element added to the mix of SMO. Games of the likes of Farmville, Mafia Wars generate high user involvement as well as user interaction. Apparently, they also serve as nifty tools to gain brand association and building brand image. The potential of Social Media Optimization is beyond limits as it presents a host of opportunities and an ample scope for innovation and creativity. SMO has emerged as one of the major tools in the marketing mix as it enables to capture the attention of the key demographics on favorable terms while propagating a more credible message. The controversy about a proper way to sell through social media still lingers. Investments and gestation are other concerns in social media advertising/marketing/sales. Despite all the hype about social media as an emerging sales strategy, it must be by-hearted by all the social media supporters that social media will always remain a “strategy”. To put it in the simplest words, social media is not a typical tool as a direct sales channel. Without powerful content the foundation of social media is weak and fragile. However, what is sanguine about social media is its irreplaceable value as a communication tool. It is also one of the strongest potential sales channels to argue about. The main objective of content as a sales tool is to nurture the needs, wants and desires of customers. Social Media is a bridge or rather a platform through which content reaches the masses as a driver of sales. It is a way of interacting with potential as well as current customers to keep them in the loop. “Awareness” is at the heart of communication through content; and so is “attraction”. A fine balance in the amount of factual and creative information is vital for creating powerful content, which sells. The purpose of content is to spread awareness about you, your brand, your products and your services; and, to do it a manner that attracts as well as retains audience. Content creation should be then viewed as an opportunity to interact and engage with masses. Social media teaches a very important lesson in marketing. It does not put the cart before the horse. Due to the advent of social media as a marketing strategy, marketing gurus have started believing that it is wiser to build and engage an audience for your brand, rather than deciding to win an audience post framing the product strategy. This blog is for anyone and everyone who is on LinkedIn and still not able to figure out “How the hell is it helping”. The contents of the blog are a must read if you have…. Let us first get our facts right. LinkedIn, unlike what many people think, is not a job search board. It is definitely not a place to discuss personal matters and absolutely not a place for unlimited chit-chat. So what is it then? Well, firstly, LinkedIn is a social media site with the purpose of making business-to-business transactions/happenings/connections simpler, faster and convenient. Why should you join it? Even if the rapidly rising share prices of LinkedIn fail to convince you to open an account then we give you another 100 plus reasons to join it. But for the sake of space, as well as to retain the essence of this blog, let us stick to 5 such ways to use LinkedIn that it enhances your social presence. It is a very intelligent feature of LinkedIn that its users can publish their blogs and posts on it. This is not just a great way to divert more attention towards your LinkedIn profile but also a good strategy to grab more eyeballs for your blog. The ‘motive’ here is to establish a common platform for people and allow knowledge sharing. You social presence automatically gets established when people are drawn towards your works and would like to know more about you. There are a zillion ways to build your personal brand on LinkedIn. We will share a secret here. LinkedIn works in a manner similar to the one that Google used a decade ago. So if you wonder where the rankings are being calculated, be assured it is just another SEO game. The wiser you are at using the keywords, the more searchable you are; therefore the rank-wise categorization. And, a better ranking means more visibility. Be the First to be on Google’s Mind, Always!! If you know the trick then creating a smart profile on LinkedIn won’t be much of a trouble. And, we have already given you the key to this secret, which is SEO. Apart from that, taking care of some basics will make your LinkedIn profile be at the top of the Google search page. For enhancing your web presence, make sure that you make your profile public, give your profile a proper title, mention your website links accurately and keep adding to your list of skills in the “skill box”. You have been an active participant of events and forums on Facebook, then what is holding you back from joining the rendezvous taking place on LinkedIn? When you participate in the discussions that are being held you enhance your social presence and reach out to a larger audience. You can debate, discuss, opinionate and share your views via LinkedIn and become a crucial part of various groups. For maximum benefit, target the most popular discussions happening, and also the recent ones. You can also hold tradeshows here if you want to, but webinars are tried and tested. Since LinkedIn is a learning ground for professionals, it is always a good idea to get together and throw light upon some emerging business trends that are of interest to all. Doing this through web means time, place and space advantage. An increase social presence automatically spawns from dedicated social networking and interaction. There is a lot more to LinkedIn than we can ever imagine and no matter how much is known about it at present, there will be something new about it the next time we explore it more. But to sum it precisely, if you want to build some truly influential connections online, LinkedIn is the place to be.